Matt Damon’s stepsister auditioned to play his lover – mistakenly! 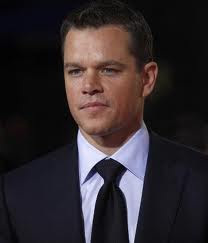 London, Oct 22 : American actor Matt Damon’s stepsister has revealed that she was left stunned when she landed an audition for a role in his new movie and was told that she would be playing his lover. Model-turned-actress Sarah Bradford, 22, who had grown up with Damon, 39, after her mother and his father married, was shocked when casting bosses told her she would have to jump into bed with her sibling. “Five months ago I went in for a reading for this movie Matt’s in, The Adjustment Bureau. It’s in production right now in New York,” the Daily Express quoted her as telling New York magazine. “My jaw dropped,” she exclaimed. Fortunately for her she was given another role to play, and was very excited about it.